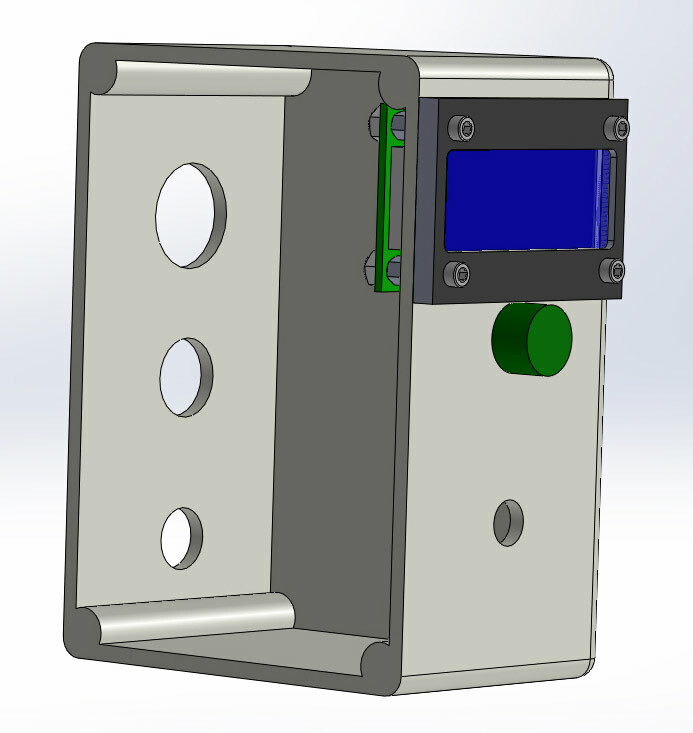 A significant reduction in size which allows the tachometer to fit inside sx2 mini mill control box assemblies. Jumpers on the PCB to double the tachometer's speed readout. This is extremely helpful for users who have installed a High Speed Spindle Kit (4151). Tachometer can optionally report "Err" in place of the FAULT led. Kits include an ASSEMBLED and programmed tachometer board with blue 7-segments, a 7-pin JST XH cable for data, and a 2-pin JST XH cable to [optionally] replace the fault led. They also come with a 3-pin JST XH connector with leads that can be used to add a forwards/reverse switch on SX2 Mini mills. If you have questions please feel free to contact me via the contact page. For U.S. Orders I ship using Small USPS Priority Flat Rate Boxes. For International orders I ship using Small USPS Priority Flat Rate Boxes. You can calculate shipping for both U.S. and international orders based on the current cost of a Small USPS Priority Flat Fate Box on the USPS website or by entering your location on the paypal order page. Shipping is automatically added during the checkout process according to where you have the package shipped to. You will be able to see the cost of shipping BEFORE completing the checkout process. I am an international customer. The USPS Online Tracker shows my package arrived at the Chicago, IL facility but it hasn't left yet! What's going on? Chicago is the last U.S. facility USPS Priority International packages pass through before being shipped overseas. If a destination country does not provide tracking information to the USPS, then this will be the last location visible in the tracker. What models *ARE* compatible with this kit? A NON-EXHAUSTIVE list includes the following. Please email me if you are unsure! What models *ARE NOT* compatible with this kit? Will this kit work with Little Machine Shop - CNC Spindle control Upgrade Kit for SX2, SC2? 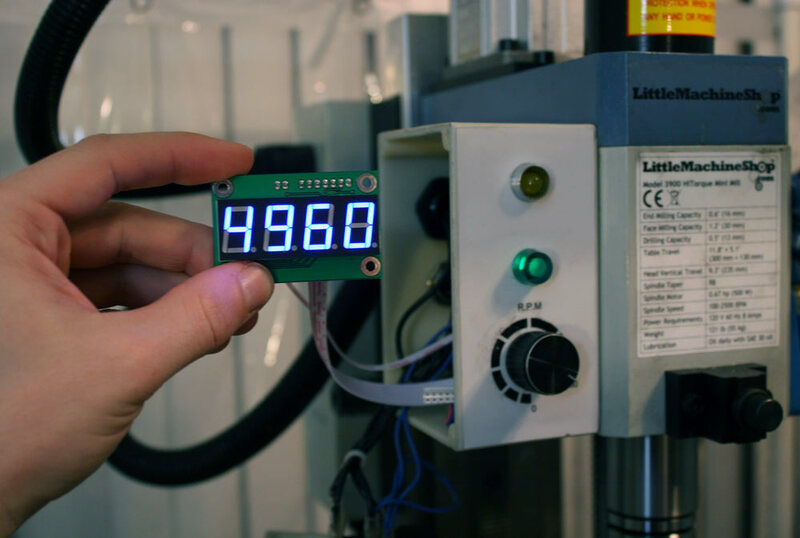 No, CNC Spindle control Upgrade Kit replaces the microcontroller in your Mill/Lathe with one that repurposes the microcontroller pins previously used to report spindle speed. 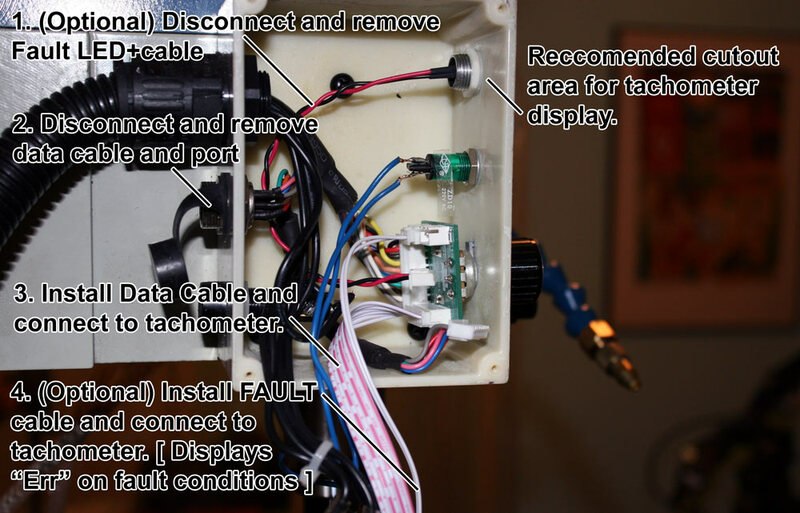 CAUTION: Mains current travels through the control box assembly. Always unplug the machine BEFORE opening this assembly and NEVER operate the machine while disassembled! Only individuals who are properly trained and qualified to work with Mains and appliances should attempt installation of this kit. Please read all instructions before beginning! 1. Power off the mill after stopping the spindle from rotating. 3. Unscrew the four phillips head screws on the control panel and carefully remove the panel that contains the power/estop button. *CAUTION* Mains current travels through this box! Do not operate with this cover off. 4a. 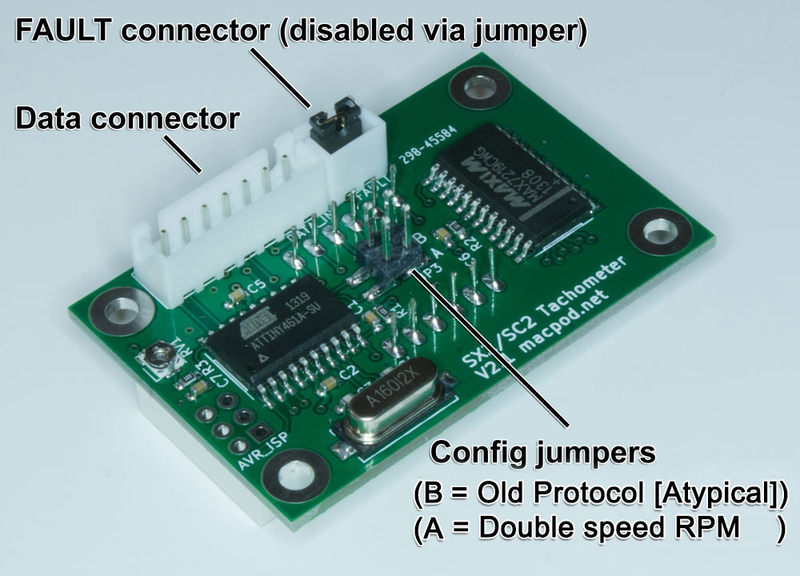 If you would like to keep the FAULT LED, install a jumper in the 2-pin JST XH shrouded header on the tachometer board to bypass the tachometer's fault detection circuit. 4b. If you would like to remove the FAULT LED assembly and have the tachometer to report "Err" when a fault is detected, remove the 2-pin JST XH cable from the speed adjustment pot PCB then remove the FAULT LED assembly. Afterwards connect the supplied 2-pin JST XH cable to the 2-pin shrouded header on the speed adjustment pot PCB then plug the other end into the 2-pin JST XH shrouded header on the tachometer board. 5. Disconnect the 7-pin JST XH cable that connects the external 7-pin DIN socket from the PCB that contains the speed adjustment pot. Connect the supplied 7-pin JST XH cable to both the speed adjustment pot PCB and the tachometer board. 6. Re-install the panel containing the power/estop button. 7. Power on the mill. Within a second you should see the 7-segments turn on and display 0000. If you do not see this, TURN OFF THE MACHINE and email me along with what you so so that I may assist you further. Lost on how to mount your tachometer in your mill? Please see the following images for ideas! Please also see the enclosures page for a dxf template of this board. 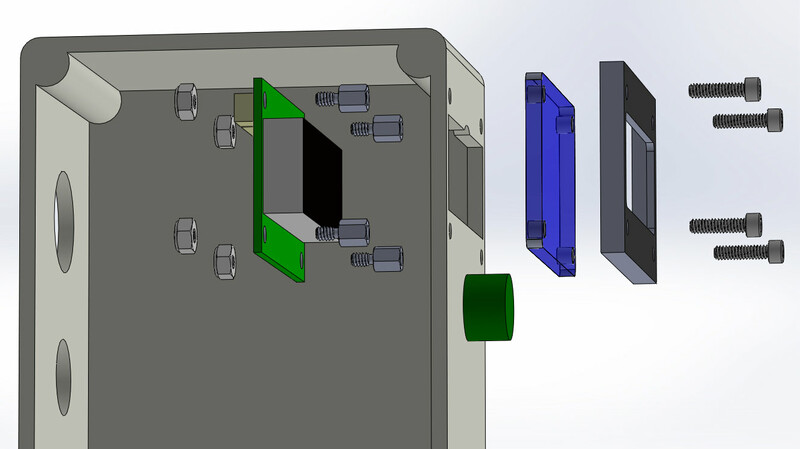 It is possible to cut a hole in the control box enclosure utilizing a coping saw while the control box is still mounted on the UNPLUGGED machine. A faceplate can then be utilized to cover up this likely less-than-perfect hole. 1. It is important to ensure the faceplate will not interfere with the power light. 2. 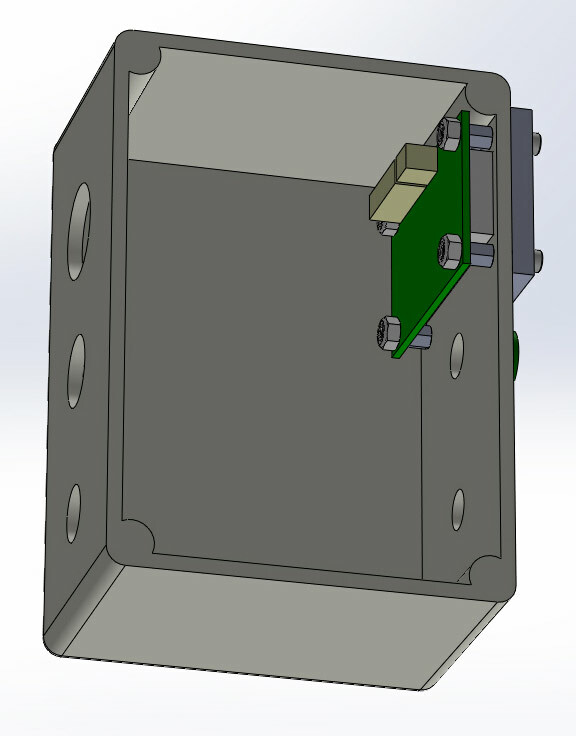 It is important to ensure the upper inside corner of the control box housing does not prevent the tachometer board (or standoffs) from sitting against the front. 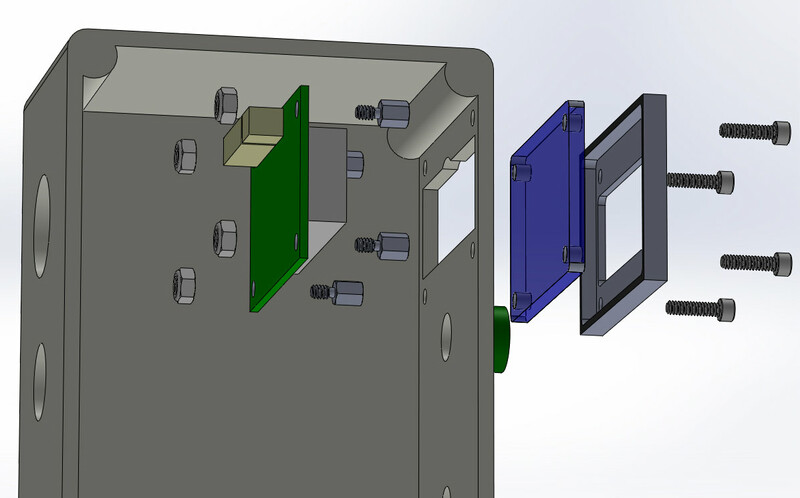 If spacing happens to be tight in your enclosure a dremel may be used to cut down portions of this plastic corner. 3. 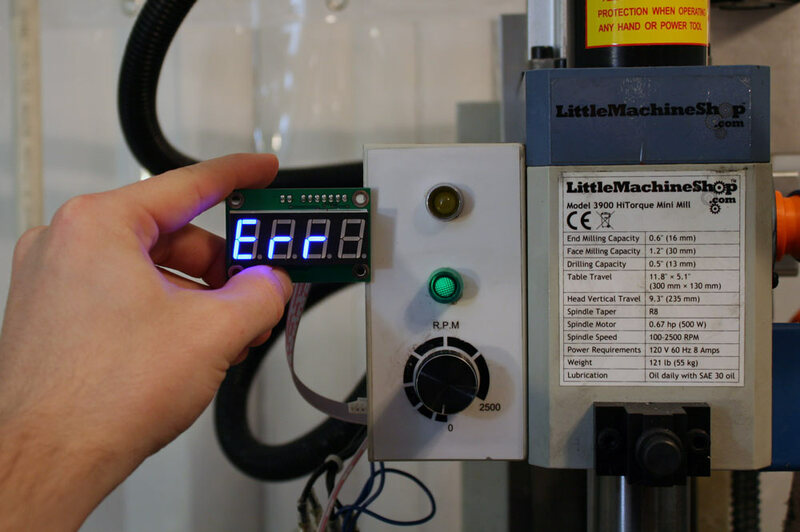 Little machine shop sells blank control boxes (#4022)!